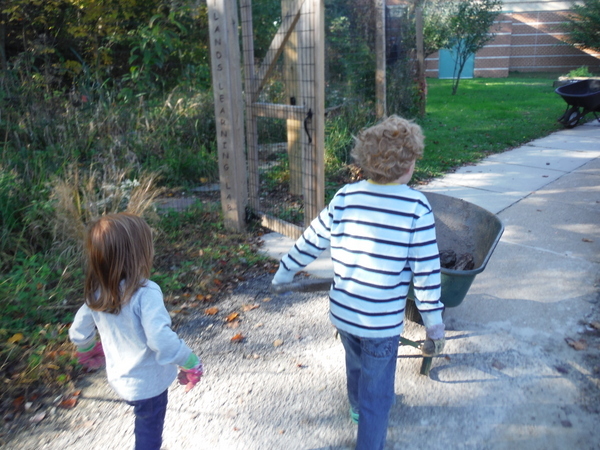 Our October Garden Work Day gave us gorgeous weather. We had a lovely morning with lots of help from the children who joined. 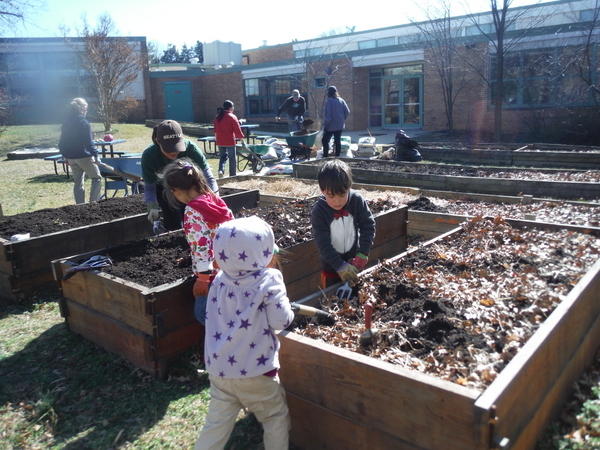 We focused on the beds in the K-1/Art/Gym area known as the Monticello Garden because its apple trees are from Thomas Jefferson stock. We harvested lots of beautiful carrots from the two beds on the grass.